International hospitality chain Swissôtel Hotels and Resorts is coming to Jakarta by the middle of next year. Its parent company, French multinational hospitality group AccorHotels, said in a statement on Tuesday that the first Swissôtel in Indonesia would be located in a mixed-use lifestyle mall complex in Pantai Indah Kapuk in North Jakarta, which belongs to local property developer, the Agung Sedayu Group. Swissôtel Jakarta PIK Avenue will feature 412 spacious rooms, six restaurants, an executive lounge, a Pürovel Spa & Sport outlet and a 3,044-square-meter ballroom that can accommodate up to 3,000 guests. 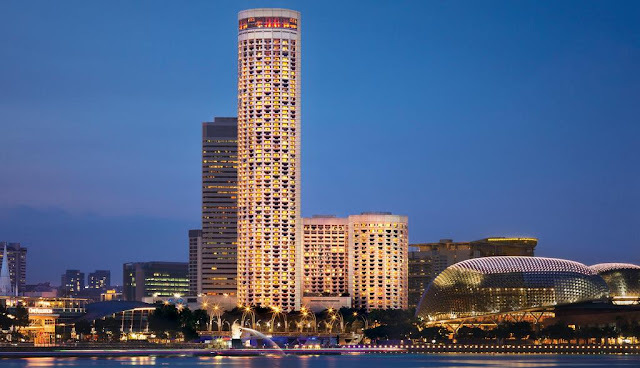 "This is such an exciting time to introduce the Swissôtel brand to Indonesia and particularly Jakarta to complement the group's growing portfolio of city and resort destinations throughout the region," Garth Simmons, chief operating officer of AccorHotels Indonesia-Malaysia-Singapore, said in a statement. AccorHotels said it decided to bring its luxury hotel chain to Jakarta because of the city's status as one of the world's greatest megalopolises. It cited a 2017 report by the World Travel and Tourism Council listing Jakarta among the top 10 fastest growing tourism cities in the world. "Jakarta has a rich, varied history and is a city of exciting metamorphosis – with its bustling traffic, its strong affiliations to its own historical roots and a hub of development in Indonesia," AccorHotels said in the statement. "We are proud to partner with AccorHotels in bringing the premium hotel brand to Indonesia with the development of Swissôtel Jakarta PIK Avenue," said Alex Kusuma, chief executive of Agung Sedayu Retail Indonesia, the lifestyle arm of the Agung Sedayu Group. "Pantai Indah Kapuk has evolved to become a trendy lifestyle destination and this partnership will enhance our mixed-use proposition that caters to niche travelers with its high-end residential and commercial development," he added. The Swissôtel Hotels and Resorts brand, founded in 1980, offers freshness and vitality rooted in the tradition of Swiss hospitality. It has more than 30 properties globally, including Swissôtel The Bosphorus in Istanbul, Swissôtel The Stamford in Singapore and Swissôtel Krasnye Holmy in Moscow. The brand's contemporary Swiss style combined with local flair, its focus on vitality, sustainability and a deeply rooted commitment to quality infuse the Swissôtel experience, ensuring custom environments where guests can recharge and feel at ease.